Akrotiri is a small fish village but the fact that such a remarkable civilisation flourished here for approximately fifteen centuries, gives it a special prestige. The ancient city of Akrotiri is the most important archaeological discovery in the Eastern Mediterranean. The volcanic eruption (1600 B.C.) covered with lava the ancient city and preserved it in an excellent condition, as happened in Pompeii. The fact that it covers such a large area (approximately 20 hectars), along with the excellent urban planning and the elaborate multi-storey buildings with the beautiful interior decoration (colorful wall paintings) designate the grandeur of this city. 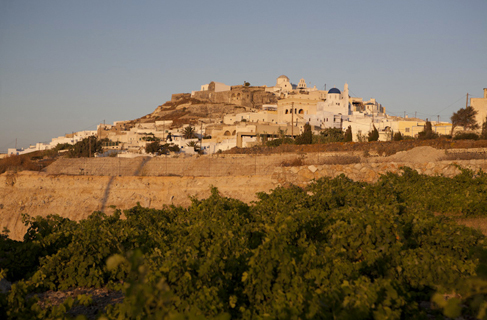 Visit the Kasteli of the Akrotiri and Goulato, which are really impressive! Also, admire the striking scenery of the white lighthouse on the rocks! 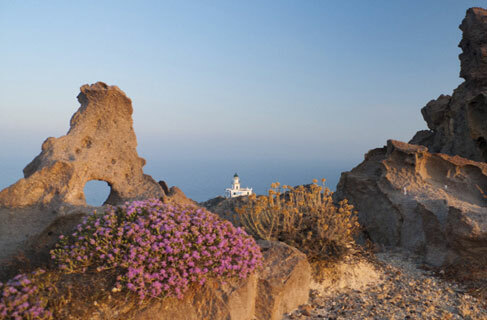 Tip: Akrotiri is the point from which one can take the path leading to the Red Beach or the boat to the White Beach or the dirt roads leading to Mesa Pigadia, Almira and Gialos.